I loved this Keith Schofield-directed video for the Charlotte Gainsbourg/Beck collaboration “Heaven Can Wait” as soon as I saw it. But today I became annoyed after reading this interview with Shoefield on Pitchfork, where he states that the inspiration for it came from the images he discovered and appropriated from sites like ffffound.com and various Tumblr blogs. Thing is, these two images clearly stood out to me from the rest in the video, which says something about the potency of one’s imagination or lack thereof. But there’s another level here. I myself have a Tumblr blog, and I follow quite a few of them. 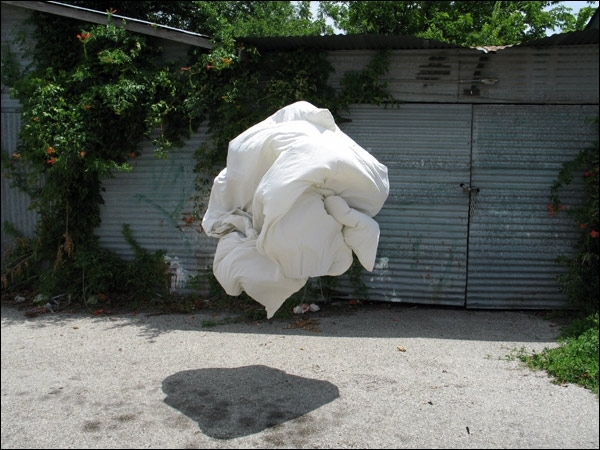 It really is its own sort of world, a saturation of images without context or cohesion. It’s interesting that Shofield decided to run with that concept, but the problems that resulted are one and the same with the problems I have with most Tumblr blogs that seem to have no interest in the source of an image. 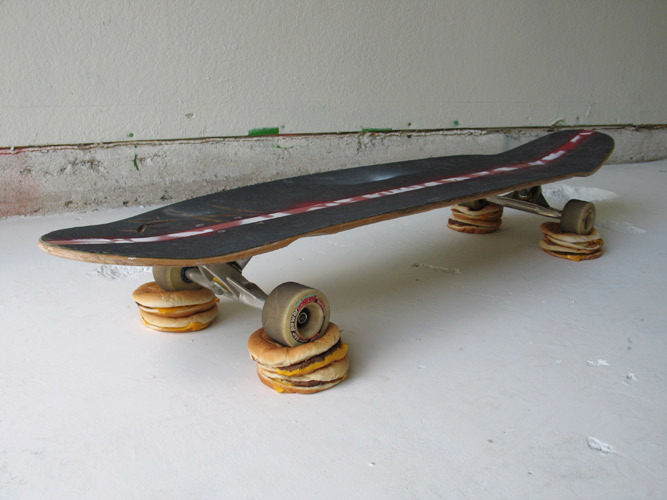 So yeah, it’s an image of a skateboard on cheeseburgers – but somebody took the time to create this thing, to buy the cheeseburgers, to stack them, to plop a skateboard on top of them. There’s real intent behind it, and to assume it just exists and belongs to the world is sort of arrogant and dismissive. I don’t know. I do the same thing, really, when I steal images I “find” on Google Image Search to illustrate blog posts. Really, it’s the way things are headed. Authorship, as far as images are concerned, is this passe thing. It’s weird, is all I’m saying, and it makes me uncomfortable.